The owl with green eyes: What is it thinking? 'You looking at me? 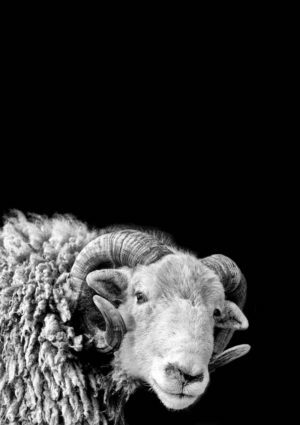 A poster featuring a Herdwick ram saying hello from the comfort of its thick fleece and golden horns.